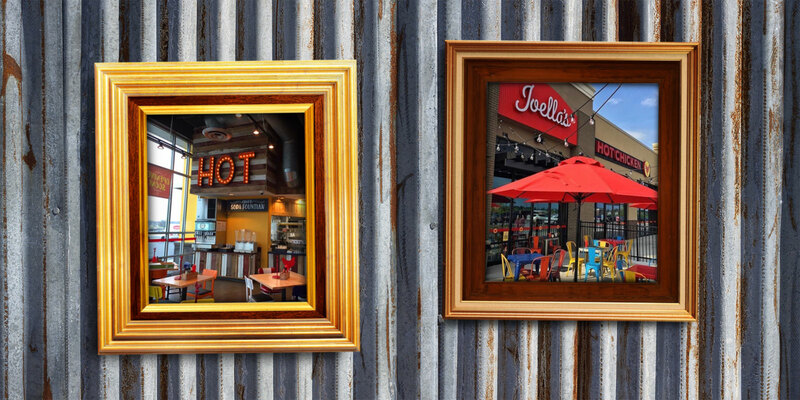 Joella’s is a casual dining restaurant that brings the heat. Known for its signature “Hot Chicken”, southern charm and eclectic design elements, Joella’s creates a vibe that is social and upbeat. Set in a family friendly environment, our philosophy is simple - intensely flavored, high quality, excellent service. There is a reason that at Joella’s, the bird bites back. The kitchen creates a variety of scratch made spices levels daily using high quality ingredients that keep folks coming back. 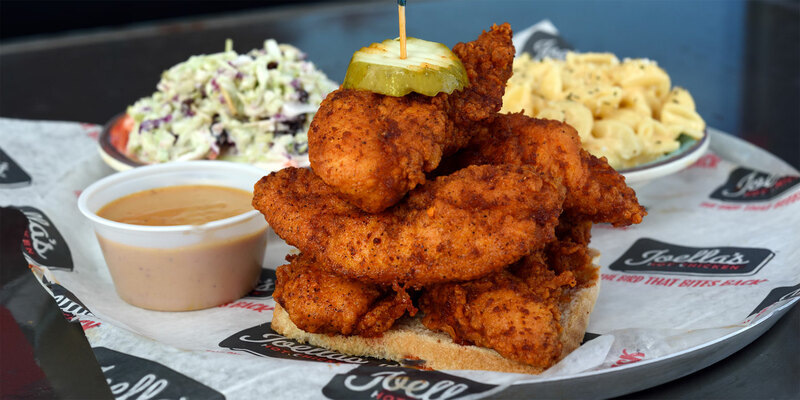 Ranging from Southern to Ella’s Fave, even Fire-in da-Hole for the more daring, Joella’s Hot Chicken is a burst of flavor with every bite. A hot chicken service would not be complete without Banana Puddin’, so we serve up the best around. You can always tame the heat with a bourbon slushy.